Cabinet received an update from the Minister of Local Government, Public Works and National Housing on the ongoing recovery programme with respect to the Cyclone Idai disaster. The Minister informed the Cabinet that progress continues to be registered in regard to the opening of access routes to affected areas and the distribution of relief assistance. The statistics on lives lost so far stand at 344, inclusive of those buried in Mozambique. Out of the 347 persons reported as missing, 206 names have been provided with the help of the surviving relatives and neighbours, leaving a balance of 141 unnamed persons still missing. A total of 79 relatives have provided samples for DNA testing. The assessment of the cost of the damaged school infrastructure has been completed in all districts. Following His Excellency the President’s meeting last week with the private sector, various offers of assistance continue to be received for the reconstruction and rehabilitation of infrastructure as well as re-integration of pupils affected by the disaster into the education system. Special emphasis is on the rehabilitation and reconstruction of schools so as to ensure expeditious resumption of learning in the affected areas, Cabinet was informed that work has already started with respect to spatial planning and eventual relocation of some affected communities. A programme is also underway to spearhead the recovery of destroyed businesses through a Government-sponsored financing facility. the jurisdiction of the Constitutional Court. the provision that every person has the right of access to the courts, and equal protection of the law. Following the presentation by the Minister of Industry and Commerce, Cabinet approved the operationalisation of the agreement between ZISCO Steel and ZimCoke (Pvt) Ltd. The agreement entails the revival and running of the coke oven batteries, which have not been operating since 2008. At full production, ZimCoke will manufacture half a million tonnes of coke in a year. The project also involves rehabilitation of Redcliff water supply infrastructure, production of tar and pitch for road making, as well as the refurbishment of locomotives and wagons. 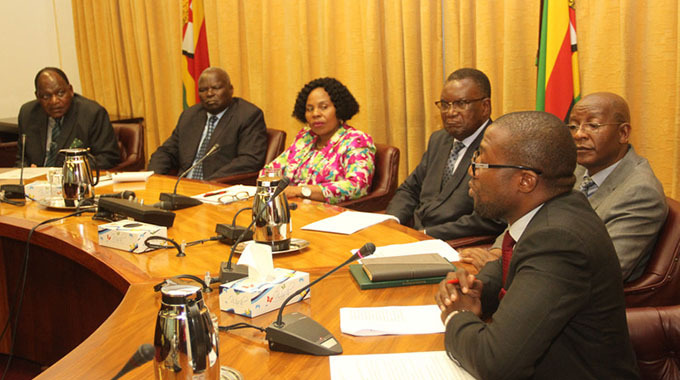 The Minister of Energy and Power Development informed Cabinet that measures have been taken to ensure that there will be adequate fuel supply in the country over the Easter and Independence holidays as well as during the 2019 Zimbabwe International Trade Fair. The Minister of Industry and Commerce presented to Cabinet a letter by the Bakers’ Association of Zimbabwe, stating their intention to immediately hike the price of bread without any recourse to consultations with the Government as is the normal procedure. Of particular concern to Cabinet also is the timing of the planned price increase, which is coming exactly two days before the national Independence celebrations. Such a move, whether by design or otherwise, certainly has the effect of dampening the mood of the nation. Furthermore, the unilateral action does not bode well to ongoing efforts by Government to engage in dialogue with all stakeholders, business included, with a view to creating a stable environment where businesses can compete and thrive. It can be recalled that on October 29, 2018, His Excellency President Emmerson Mnangagwa met with business leaders at State House where he stated that Government has an open door policy and stands ready for any engagement and consultations in order to ensure that the economy stabilises. As such, unilateral price hikes, particularly on basic commodities that our people cannot do without is not in consonance with the spirit of mutual engagement that Government is encouraging. Cabinet, therefore, calls on the Bakers’ Association of Zimbabwe to defer the planned hike in the price of bread in order to allow the normal mutual consultations to take place. The consultations are aimed at facilitating a clearer understanding of the issues of concern and to explore solutions thereto.